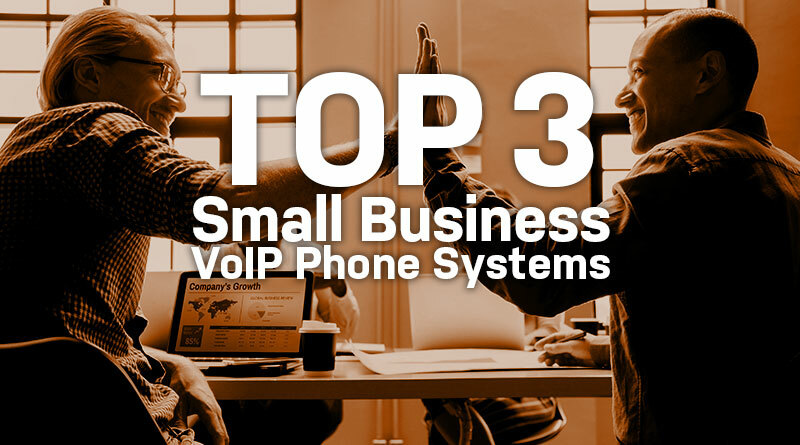 We have well over a decade of direct experience working with VoIP phone systems ourselves, learning from manufacturers, and hearing customer feedback. We’re focusing on on-premise solutions instead of cloud-based or hosted VoIP solutions today. Why choose on-premise VoIP over hosted VoIP? Going with an on-premise VoIP phone system offers advantages over going with a cloud VoIP service provider. No Per User Fees. Hosted VoIP or internet phone services charge rates based on users or “seats.” With these on-premise VoIP systems, you aren’t charged by the user. Instead, the systems support a certain number of extensions, giving you much more flexibility and cost-savings. Fewer Recurring Charges. 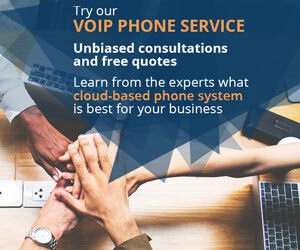 Cloud-based phone systems are sometimes referred to as VoIP as a Service (Vaas) or Unified Communications as a Service (UCaas). What does “as a Service” mean for your bottom-line? It means you’re paying a subscription to have an external company host and control your telephony. With on-premise VoIP, because you own the hardware, you don’t have to pay the subscription fees. Control. Because you own the IP-PBX, on-premise VoIP phone systems allow for a greater degree of control. You’re able to deploy telephony features like recording or call queues and networking features like QoS to your precise specifications. Grandstream UCM6204 unifies the small business VoIP phone system. UCM6204 supports up to 500 users and 45 concurrent calls, and up to 50 SIP trunk accounts. 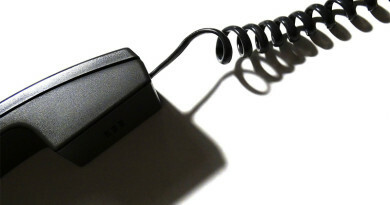 Think about hosted VoIP providers who charge per user. UCM6204 gives you 500 users! A compact device, UCM6204 has 2 FXS ports for connecting analog telephones or fax machines and 4 FXO ports that connect to the PSTN. It also has dual Gigabit Ethernet ports and Layer 2 and Layer 3 QoS control to ensure your VoIP communications remain stable and jitter-free. On top of that, it offers premium features, including call detail records for tracking usage, enterprise-grade encryption with SRTP, TLS, and HTTPS, 5-level interactive voice response menus, and voicemail forwarding to email. Cost-Effective. For the features you get, Grandstream UCM6204 is incredibly cost-effective. You don’t have to pay any licensing fees. There are no recurring fees. You don’t have to pay extra for features your company needs. Free Mobile App. 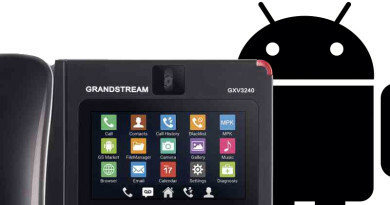 Grandstream Wave is a free softphone application for Android and iOS that can integrate with Grandstream UCM6204 to enable your smartphone to also be a secure business phone. Unified Communications. 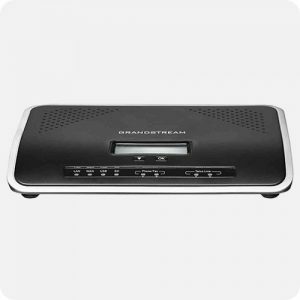 Grandstream UCM6204 handles more than just voice calls. It can also handle video conferencing, video surveillance, data applications, and access control management. It puts all these on one network. Call Recordings. UCM6204 has a built-in call recordings server, so you can record calls, protect your business from fraud, help with training new employees, let people who can’t make conference calls know what happened, and more. The recordings are available through the web-based user interface, making them simple to access. 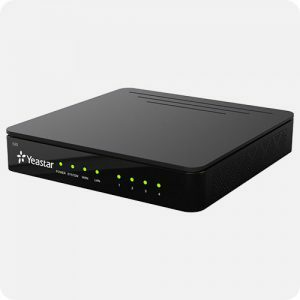 Yeastar S20 is part of the modular Yeastar S Series of small business VoIP phone systems. 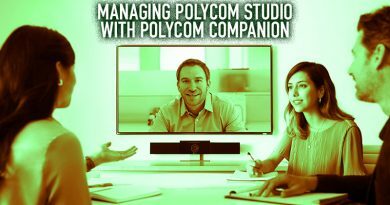 It supports 20 users and 10 simultaneous calls, the perfect size for a small business or SOHO set-up. The streamlined installation process reduces on-boarding time. You can manage the phone system with a simple web GUI. Simple to Use. Yeastar makes installation fast with auto-configuration and more. Manage the system using the web GUI from any internet-connect device. Automatic Provisioning. S20 makes incorporating phones simple through automatic provisioning of IP phones from numerous manufacturers, including Cisco, Yealink, and Polycom. Free Mobile App. Yeastar offers the Linkus Mobile Client, which connects your Android or iOS device to your business phone system, making your smartphone into a business extension, no matter where you are. Modular Design. Choose the modules that best fit your company’s telephony needs. Options include FXS ports, FXO ports, BRI ports, GSM cellular channels, and 4G LTE cellular channels. Extensive Interoperability. Yeastar focuses on making open standards IP-PBXs, which are interoperable with an enormous range of SIP trunks, IP phones, CRM platforms, and more. Performance. Yeastar S20 is powered by an industrial grade quad-core ARM processor. 3CX is an open standards software IP-PBX that works perfectly as a small business VoIP phone system. You pay by the number of extensions, and you can upgrade or downgrade your service to fit your needs. 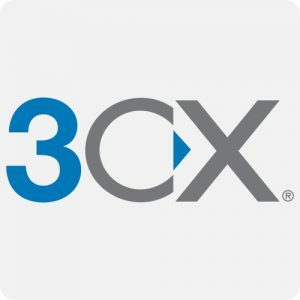 You can use 3CX as a independent softphone, that is, as an application on a computer or smartphone instead of a deskphone. Using 3CX on a computer with a connected headset is a workflow growing in popularity. Or you can use it to control your telephony with IP phones. 3CX has developed extensive support for common IP phones, including Grandstream and Yealink. With 3CX Professional, you get full IP-PBX features, plus call center controls, additional application integration, improved WebRTC web conferencing and unified communications options, and more. Call Center Controls. 3CX Professional comes with a full feature-set for contact centers and call centers, including advanced queue management, external agent support, real-time queue statistics, and phonebook syncing via Microsoft Exchange. Free Mobile App. 3CX’s VoIP clients for Android and iOS mean your office extension can be automatically routed to your smartphone, enabling secure business communications wherever you are. Scalable. 3CX is incredibly scalable. If your company grows, all you need is a license to increase the number of extensions. Note that it’s not priced per user, like a hosted VoIP service would charge, but rather per extension, making it much more affordable. Choice of Hardware. 3CX can be a perfect on-premise solution. Because 3CX is a software VoIP solution, you can install and run it on your choice of hardware, including something as affordable as an Intel NUC. Cloud-Based Option. If you want to take advantage of the cloud, 3CX can be installed on a wide range of cloud services, including Microsoft Azure or Google Cloud Platform.